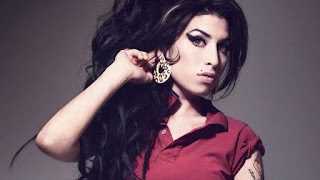 2019 will see a tour of Amy Winehouse via hologram, because the world is truly evolving too quickly for any of us to really sit down and wrestle with the ethical questions of what we can do versus what we should do when it comes to technological advancement. That’s an unambiguously good thing and the fact that Winehouse’s father appears to be good with the hologram situation is reassuring, but the tour still raises broad moral concerns about the best ways to honor the legacy of deceased artists. The question came up at least year’s Super Bowl during Justin Timberlake’s Prince tribute, despite Prince’s very clear, on-the-record thoughts about his likeness being used after his death. Hologram technology forces a reckoning with these questions. It’s been used to “resurrect” the likenesses of Tupac and Roy Orbinson to varying degrees of success. The Winehouse hologram’s tour will use a live backing band and Winehouse’s own vocals to give fans about as close a live Amy Winehouse experience as modern technology will allow but, again, just because you can doesn’t mean you should.